The countdown has well and truly begun. As I'm sure you can imagine, I plan on sharing lots of my experiences with you here, on my blog, as I know that some of you will be really interested to know all about the newest Disney park. Before I go, if you have any questions about Shanghai Disney that you'd like answered or anything at all that you'd particularly like me to feature when I get back, please let me know in the comments and I will do my best to feature everything for you. 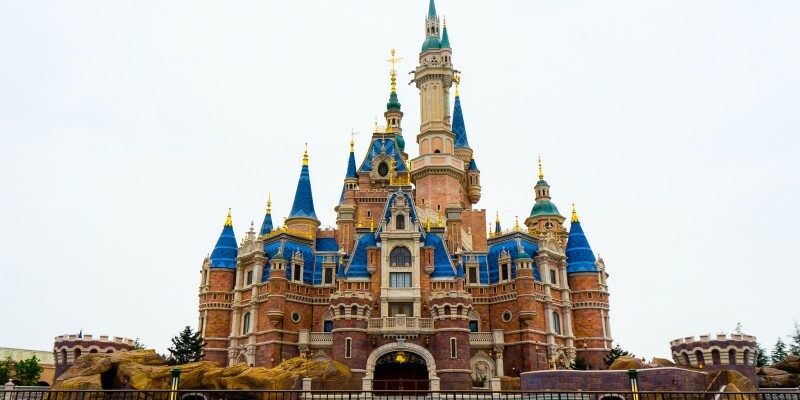 Hygiene, personal space and litter: There are multiple reports at present representing Shanghai Disney Resort as being 'unclean' and 'littered' and guests are rumoured to often queue jump and disregard the personal space of other visitors. However, I have also heard people that have visited the park saying that this could not be further from the truth and that it's just the media 'hamming it up' for a story. I'm looking forward to discovering the truth for myself and seeing if the rumours are really just that! Pirates of The Caribbean: I am beyond excited for this. Pirates has always been one of my favourite Disney attractions so I am particularly interested in seeing how the updated technology enhances the experience for guests. inspired foyer so I can't wait to see this in all its grandeur for myself. Tron: Shanghai Disneyland does not feature the standard Space Mountain roller-coaster in Tomorrowland. Instead, a brand new ride has been created especially for Shanghai based on the Tron franchise. My best friend Tash who is living in Shanghai has ridden it and says that it's much faster than it looks in the footage and she thinks I'll be quite frightened; watch this space! Mickey Avenue: Uniquely, Shanghai Disneyland also does not feature Main Street USA. Instead, guests arrive in Mickey Avenue upon entry an area which has been heavily influenced by Chinese culture and architecture. I am excited to see how the Chinese ambience impacts the park and how the marriage between China and Disney is depicted throughout. There's a lot more than what's on this list that I am excited about; the shows, the food, the merchandise! But these are just a few of the topics that I have seen a lot about online and am looking forward to sharing with you all - from my point of view. See you in a few weeks time!